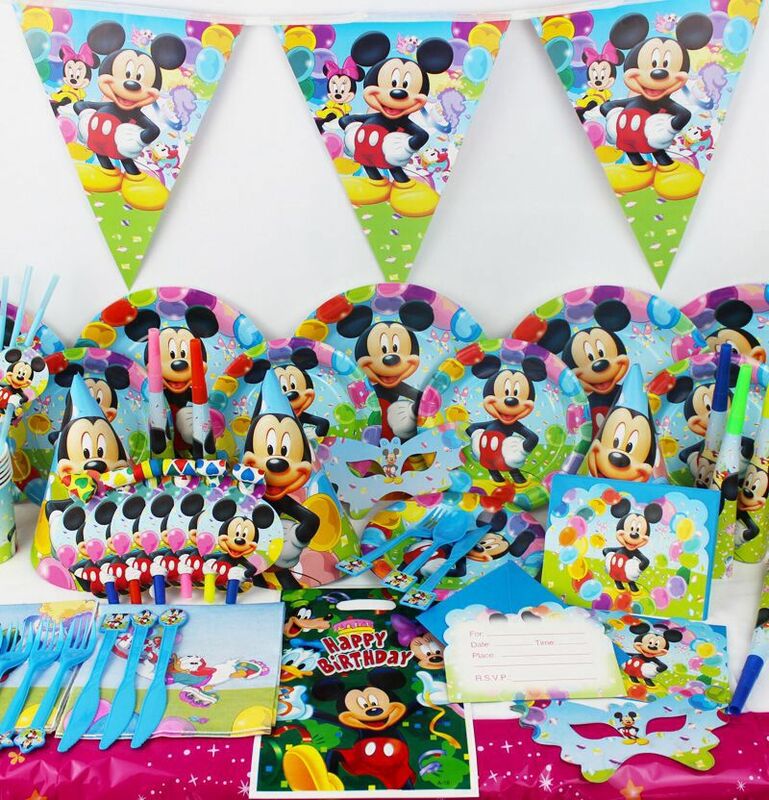 This Mickey Mouse themed party kit brings real joy and memories for your special occasion. Each Fun Party Pack is for a party of six. This Party Pack Includes (68 Pcs) Tableware Pack - 6 Plates - 9 Inches, 6 Cups, 6 Straws, 6 Forks, 6 Spoons, 6 Paper Napkins. Favors Pack - 6 Blowouts, 6 Hats, 6 Eye Masks, 6 Invites, 6 Loot Bags Decor Pack - 1 Banner 1 Table Cover Have a happy party!